So which 3D Animation Software should you start off with? Any suggestions of 3D Animation Software for us? Leave a comment! I would describe this tool as the mother of animation tools, it has been used in movies, games,commercials and personal projects by big and small companies alike. Houdini has a very strong particle and smoke system due to its powerful animation and VFX tools and its lighting effects are also pretty decent. 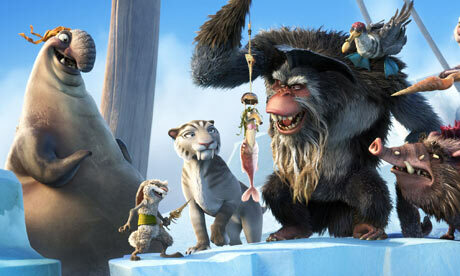 Companies such as Dreamworks Animation, Blue Sky Studios,Image Engine and Axis Animation use this tool. This wave animation by Daniel Sierra also used this tool. 3D Studio Max is another well recognized name within the industry. This software is commonly used in video game development, and has been used in the product of well-known games such as Grand Theft Auto and GameCube. 3D Studio Max is also starting to be used more and more in film productions, as it has powerful controls over dynamics and shading as well as realistic lighting. For the next level of users, Maya 3D is something that presents outstanding opportunities for animation work. A great deal of the work we see on our cinema and TV screens has been produced via Maya 3D including Spider-Man, Lord of the Rings to name but a few. Maya 3D is an extremely powerful software tool, and even top 3D animators continue to learn and progress their skills from using it. Maya 3D will take you through the full 3D effects spectrum, from a world of paint affects, rendering and a plethora of animations. If you’re serious about 3D animation Maya 3D is a substantial investment at over £3,000, but you’re sure to get your money’s worth. MAXON Computer GmbH has introduced a revolutionary 3D software to the market. This product gives you options and resources for advanced character tools,physic engines,hair,eyes and an unlimited network for rendering. It’s also capable of procedural and polygonal/subd modeling, lighting,rendering, texturing, animating and other common features you’ll find in 3D modelling software. Blender 3D was released in 1995 by the Blender foundation. 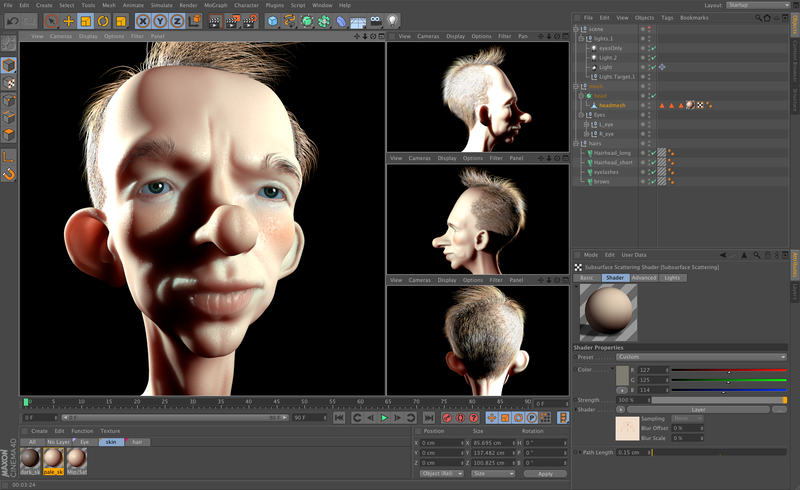 It was created for everyone and was released as a free software for animators. Their site is also full of resources for beginners and experts and the community is warm and friendly with a lot of great insight and tips. Movies, commercials and games uses the Blender 3D software. Spider-man 2, History Channel and more used this software in planning and animating certain scenes giving it a great start for an international foothold. The Blender foundation themselves also created open projects in animation and gaming. Our favorite 3D animation open project was “Big Buck Bunny” and the game “Yo Frankie” shows exactly what you can do with the game engine. Adobe Flash remains today one of the most popular animation software packages on the market, particularly when it comes to web animation and people who want to get started with animation design. For many years websites have chosen to integrate flash into their designs to add to the professional quality of the website. Most browsers today fully support applications of Flash, however it can still remain problematic for people using Apple devices. Indeed, one of the cons of animators using Flash is the lack of compatibility with Apple devices, so more and more designers are looking to HTML 5 as an effective solution to this problem. Have a look at Animator vs. Animation series by Alan Becker, a well known flash animation. We recommend starting out using the simple to use animation applications such as Flash and then progressing upwards to more sophisticated software, e.g. Maya 3D, 3D Studio Max,Houdini to hone your skills and build up confidence. If you’re coming from a more traditional animation background, then it’s recommended you spend sometime using other creative software packages such as Photoshop, Illustrator etc. to get a feel for how such software can aid you in the design process. Carefully consider your budget and return on investment, if you purchase this software how long will it take before it pays for itself? Just added it to the article,thanks for the suggestion! Just added it, thanks hold! The guys at Character Matters in SA produced The Lion of Judah in Lightwave and the guys at Triggerfish in SA used SoftImage to create Zambezia so might be worth mentioning these two as well although Maya is my personal favourite good to know internationally. Thanks Rowan we’ll definitely add those to the list and ask the guys at Triggerfish about their software! Thank you for the kind words Lane! We hope you enjoy our site and that you’ll visit again! Wow! I’m not really sure. Obviously all of them can produce a stunning 3D model. There must be a reason why the film industry prefer Maya & Houdini. No doubt they are the top ones. The paper is excellent. I would recommend to start with the Blender. Animation is not an easy work and if you want to test your forces at least start with minimum investment. Blender is free and is very good. When you feel you are strong enough switch to Maya or Max. Cinema 4D and Houdini are of course the top, but before you buy Mercedes learn to drive on something simpler. The good animation is a hard nut to crack. cinema 4d and houdini are not of course the top, you peasant simpleton, maya is the top. Should Loοk At, Liked it! Hehe …I have a question which is kinda bit wierd.Actually I want to make my Photos to turn into an 3D image so which is the best tool for editing personal photos ? Appreciation to my father who shared with me regarding this webpage, this weblog is really awesome. Thank you for the list, we’ll update it soon! Thank you Ruan for the suggestions. I am an avid reader of your blog. Your content always amazes me. Keep it up! But I had one suggestion. Selfcad-3D modeling software should be included in the list too. It’s a powerful online software which is currently trending. Even though it’s for 3D modeling it can work in animations perfectly. Honestly its an amazing blog and it has taught me so many new things about the 3D Animation. Thank you for sharing this article. I like it. I’m really glad you for your good work. Go ahead. wow great blogs and articles. very useful and informative content, thank you.